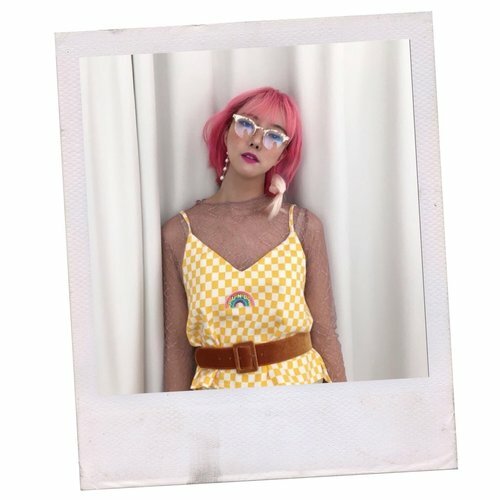 A chat with CHERI (@cheristyle_), the fashion blogger and freelance stylist who is bringing a mix of edginess, roughness, and a new, unique character to the color pink! What age did you start liking fashion and how? Who were your first fashion inspirations? My first fashion inspiration was Suzy Bubble in the UK. She looked just amazing, getting into all the famous shows, writing about her own experience about fashion and so on. I started liking fashion since I was little, but when I turned 20, I realized that fashion is what I need to do. I wanted to step in this fierce world. You seem to wear an eclectic mix in your style. But what's the defining theme/ concept among all of them? Unexpected mix-match, I guess. I have no fear mixing unusual things, especially on fabric and pattern. In 2016 my look was way too kitschy, a year after my style became a new genre of K-Punk and now I guess I am learning the whole new minimalism going on. Tell us about your best/most memorable fashion experiences! The best? Creeping into a fashion show during London Fashion Week. It was absolutely heart-pounding experience. Give us 3 tips on how to look great on Instagram. Take pictures every day, challenge yourself with styling, drink lots of soda. Chiffon layers. Always good for adding some textures. Long gloves. I am so into them right now. What do you do and wear in your off-duty days? As I’m a freelance worker, off-duty days happen when I’m without my social media. I usually wear comfy clothing as possible, but sometimes they actually go better than expected. Lastly.... What's next for you? I hope to watch and review all the fashion shows around the world. Also, I really want to visit New York somehow, because I’ve never been there before. Hope Cheristyle could become a global brand in near future! 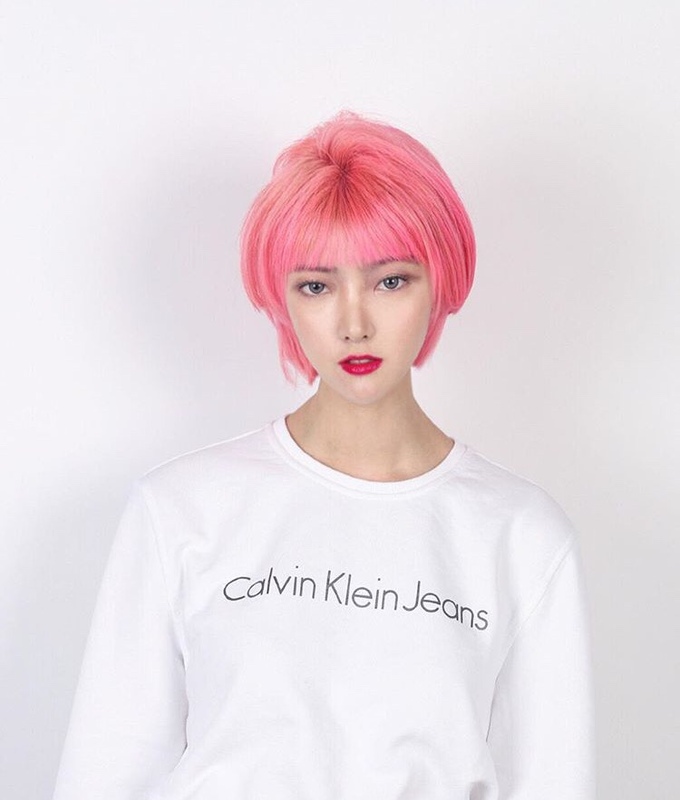 You are known for your signature hot pink hairstyle. Why did you choose this style in particular? Just simple. Pink is my favorite color. People think pink is for girls, lovely girls. I wanted to break that (고정관념) stereotype. As I dyed my hair into vivid pink, I tried to break the limits by styling like a bad gal. I think that's the reason why people started to notice me as fashion influencer. You also use both English and Korean in your videos. Most of my [audience are from Korea], but I realized a lot of them are also from Japan, Thailand, HK and Europe. I want to communicate with people around the world. I don’t want to limit my content. I wish one day I can represent K-Fashion. Every morning what do you think about while choosing what to wear for the day? I think about the mood-of-the-day first, then focus on how I can make it more fun with styling.